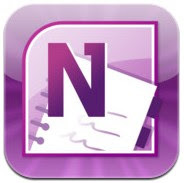 In this article, you can see a list of the best note taking apps for your iPhone & iPad. All of these iPhone/iPad apps are very useful and can be used to create, edit and manage notes. Some of these note taking apps are very useful which can help you to manage all of your important tasks easily. In this article, we’ve created a list of the best note taking apps for iOS device. With the help of these note taking apps, you can easily manage all of your tasks, some of these apps are very useful and available free of cost on the App store. If you have to manage lots of works, you can use any of these apps to memorise all of your tasks. 1. Notability ( iPhone & iPad ) – Notability is a great note taking app for iPhone & iPad which lets you create amazing notes easily . One of the most useful note taking apps on the App store and it comes with many useful options such as – creating amazing notes in different style , easy notes organizer, powerful tools to annotate documents & record lectures on your device, tools to make your notes stylish, audio replaying option for your notes and many other useful features. One of the best apps and it lets you manage all types of note taking tasks and share them with your friends. Recommended app for every iOS user. 2. 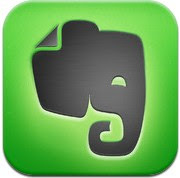 Evernote ( iPhone & iPad ) – One of the best note taking apps on the app store and it comes with lots of useful features and can be installed free of cost on your iPhone or iPad. Beautifully designed full featured note taking app for iPhone and iPad that lets you take notes, take pictures, record voice reminders, create to do lists and organize notes by notebooks & tags. Evernote helps you to snap photos of books, take and research notes, plan your trips, create grocery list and manage other useful tasks. 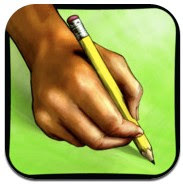 Great note taking app which is available free of cost on the app store. 3. Note Taker HD ( iPad ) – One of the best note taking apps for iPad and it is integrated with lots of useful features which can also be used for professional purposes. Note Taker HD lets you create and organize handwritten notes, diagrams and access many useful note taking related features which can only be found in few apps. With this app, you can easily create notes by writing on the screen with your finger or stylus, organize notes into documents and folders, add or crop images from albums or camera, create drawing, use more than 60 customizable shapes , custom backgrounds , clip arts and free templates. 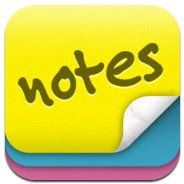 Fully featured note taking app for iPad that also allows you to share documents with others. 4. MS One Note ( iPhone ) – MS One Note is simple and clean note taking app for iPhone that helps you create quick searchable notes with text, images and bullets. Simple and free app to manage to-do lists and create up to 500 notes. You can sync your notes to Microsoft SkyDrive to view, edit and manage them from any device. 5. Sticky Notes Pro ( iPhone ) – Sticky Notes Pro is a popular note taking app for iPhone that helps you to take & organize notes and create reminders for important tasks. You can add alarms to your notes , create checklist for your tasks, make different types of stylish notes by using visual note styles and inserting images. Great note taking app which has many useful features including password protector and note sharing features. 6. Complete Class Organizer ( iPad ) – Complete Class Organizer is one of the best note taking iPad apps for Students. 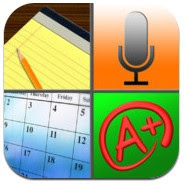 This app helps students to take quick notes while recording lectures and sync audio to text. Very useful app for students which lets students take notes by typing & drawing , share their notes via Bluetooth , import documents from the web and emails, organize students tasks such as exam, home work etc. Recommended note taking iPad app for students. 7. 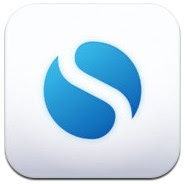 Simplenote ( iPhone & iPad ) – If you are looking for free note taking app for your iPhone or iPad, Simplenote would be the perfect option for you which comes with powerful search function. Simple and clean app to create notes and sync them to all of your devices automatically. 8. 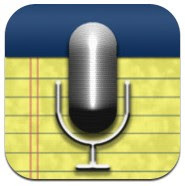 AudioNote ( iPhone & iPad ) – AudioNote is a great app to take audio notes for your meetings, classes or interviews. AudioNote is integrated with a powerful voice recorder and notepad that helps you take quick notes and insert text, photos , drawing and highlighter notes. One of the best note taking apps on the app store for students and business owners.